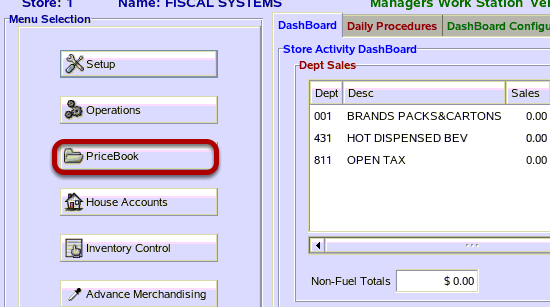 TravStar1 Point Of Sale SystemManager's Work Station Pricebook ManagementHow Do I Setup Packs and Cartons? How Do I Setup Packs and Cartons? 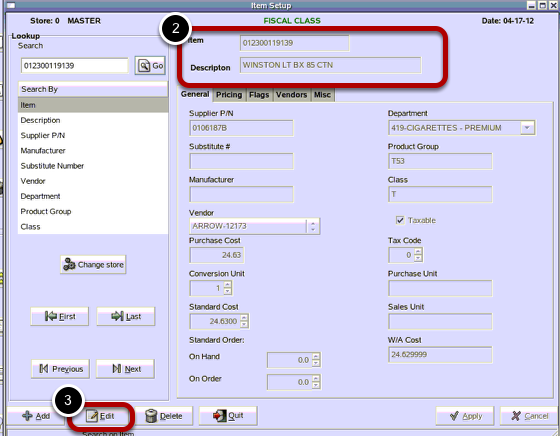 This lesson will teach you how to link two items which allows you to sell and receive the item as a unit or subunit. 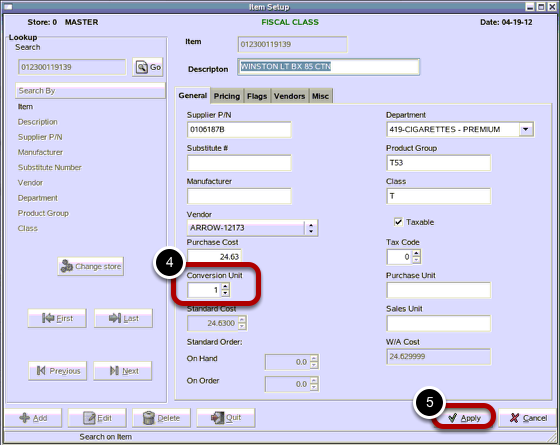 (1) From the Lookup menu, type in the PLU number of the larger item, or carton. Then click the "Go" button. (2) Confirm that the PLU you wish to edit is now viewable. (4) From the Item Setup screen, make sure the PLU for the unit, or carton, has a conversion unit of 1. (5) Then click on the "Apply" button. (1) From the Lookup menu, type in the PLU number of the subunit, or pack. Then click the "Go" button. 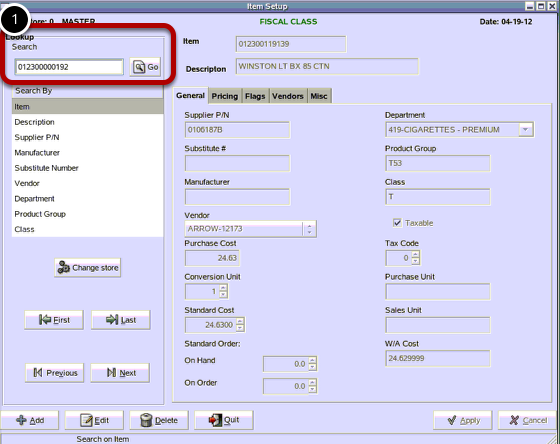 (4) From the Item Setup screen, type in the PLU of the larger item, or carton, as the Substitute #. 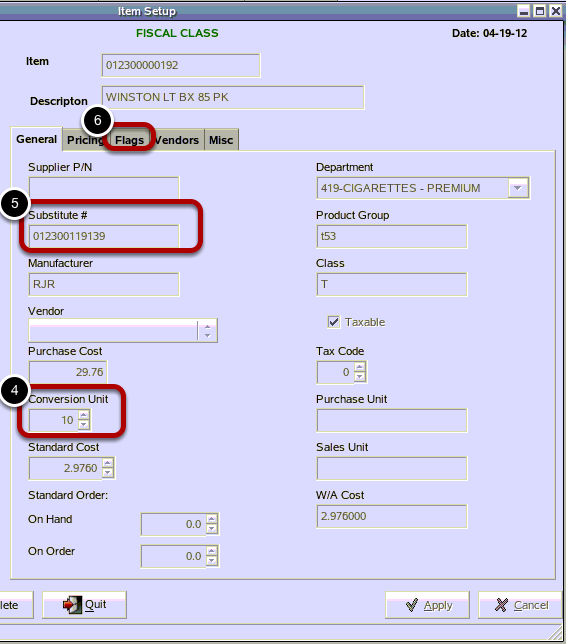 Note: In this example the PLU is for a carton of cigarettes. (5) Type in a conversion unit. Note: 10 packs is equal to 1 carton. (6) Click on the Flag tab. 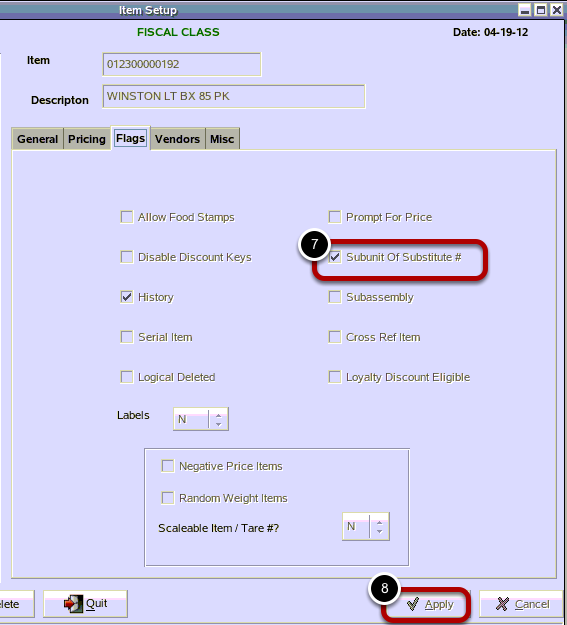 (7) Check the box beside "Subunit Of Substitute #"
(8) Then click on the "Apply" button. Prev: How Do I Assign an Item to a Different Department? 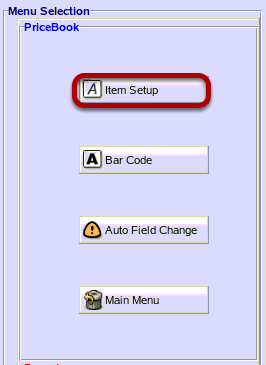 Next: How Do I Make Changes to Large Groups of Items?